In creating the sequel to his 2009 Star Trek reboot, J J Abrams has chosen to bring what was familiar back, and then build upon it. The heart of the first film, the captain and crew of the USS Enterprise - with Chris Pine as Kirk, Zachary Quinto as Spock, Simon Pegg as Scotty, trying valiantly to approximate a Scottish accent, Zoe Saldana as Uhura and Karl Urban providing the fine line between comic and gravitas that the film itself personifies - all return in ship-shape form. 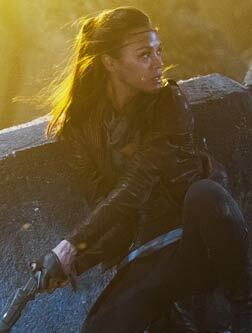 Abrams' trademark lens flare is ably supported by his penchant for alternating humour and nail-biting action. In short, the things that make a summer blockbuster, and the things that were the strong suites of the first Star Trek film, are present and are staged wonderfully. It is in the characters and their emotional state that Abrams invests further, starting straight with the odd but timeless bromance between Spock and Kirk. Still haunted by his planet being completely destroyed, Spock is trying everything to stop another planet from being blown up because of a volcano. Kirk breaks a cardinal rule, the "prime directive", when he attempts to save his friend's life, when he lets the primitives see the USS Enterprise. This conflict between personal and professional loyalties comes into play again when Spock submits an official report that exposes Kirk. There is a fracture in the personal relationship, which also is seen in their professional lives: Kirk is stripped of command, and Spock is transferred. When a mysterious man calling himself John Harrison (Benedict Cumberbatch) destroys military/space bases in London and San Francisco, this new threat requires the duo to reunite and attempt to stop this new in an alarmingly long list of British villains. I shall steer clear of further plot exploration for fear of spoiling the reveals, but it can be said that while it is always thrilling to watch the action unfold, the actual machinations of the villain aren't especially interesting. In trying to add multiple reveals and give everyone multiple shades, Abrams and his frequent collaborators Roberto Orci and Damon Lindelof have created a plot that feels wholly underwhelming, and a threat that is much less than it is made out to be. The heavy lifting, then, is done by the crew of the Enterprise and their personal motivations. It's a task admirably excelled at by most of the cast, and all of the returning ones. Chris Pine and Zach Quinto have grown as actors, as have the characters they portray, and that emotional journey shows clearly. The grave threats faced in the film are mirrored in their sombre but dignified performances along with Zoe Saldana's take on Uhura as the rock of the ship. Of course, after his turn as Sherlock, I was quite looking forward to Benedict Cumberbatch's villain. While the script may make him just another super villain, he is magnificent in his role, delivering a completely kinetic performance, gluing you to your seats. This is a fantastic cast doing some of the best work of their careers in a genre film, and it elevates it multiple-fold. The plot may have more consistencies than the last film, but has lost some of its emotional wallop, which where these fine actors come in and add their magic. The action, too, is not just thrilling, but also benefits from the emotional connections we are privy to throughout the film. For anyone who has at least watched the 2009 reboot, this is a great time at the cinemas, the very definition of a good summer blockbuster. For the dedicated Trekkies, there are some reveals that are just for you - something for you to take home with you, so to speak. "This is where Nolan does his magic best: the narrative is dense and layered, and the characters are continuously pushed by the events of the movie forward towards becoming darker shades of gray. The film relentlessly continues down this path until all the major pieces on the board are approaching black. Amongst them standing tall is the conflicted but inexorable Batman." why should batman's review paragraph be inserted here? not making up your word-count without it? fullhyd.com has 700,000+ monthly visits. 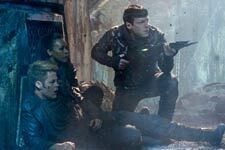 Tell Hyderabad what you feel about Star Trek Into Darkness (3D)!